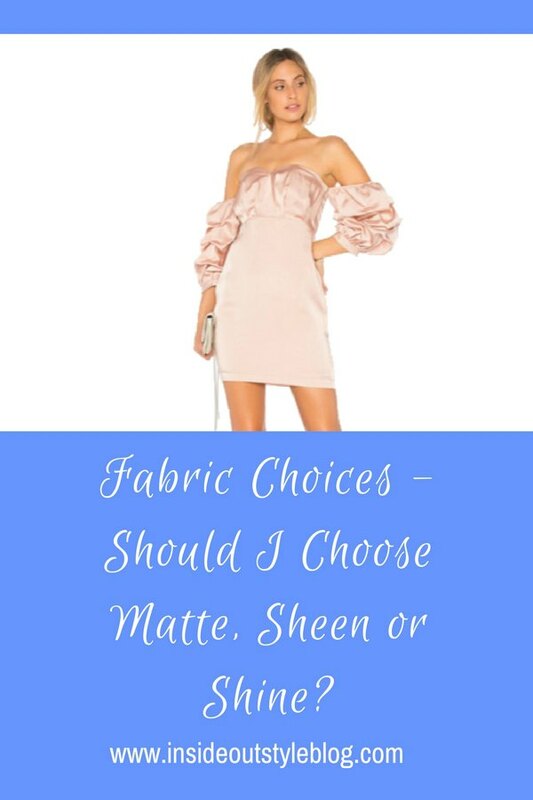 Fabric Choices – Should I Choose Matte, Sheen or Shine? 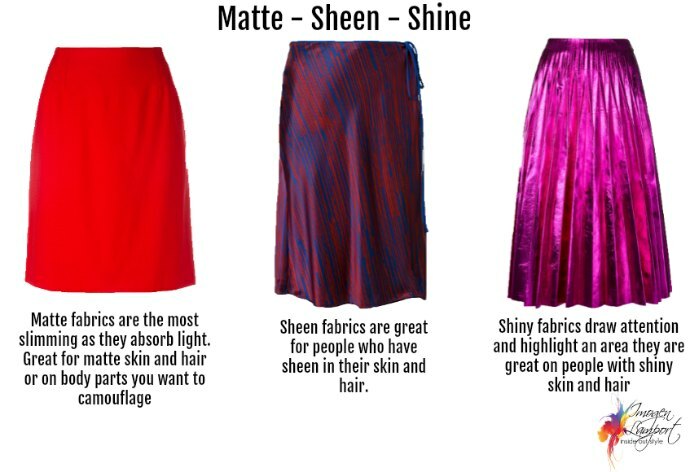 Along with texture and drape, another element of fabric is the sheen. 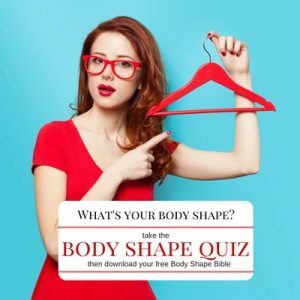 Some fabrics are matte – they don’t reflect light and appear to absorb light – these fabrics are the most SLIMMING fabrics as they don’t draw attention to your body. Matte fabrics work best on someone who has a matte skin, or textured or coarse hair that doesn’t appear shiny. Put matte fabrics where you don’t want people to look as they absorb light and are great at camouflaging. Fabrics with sheen reflect a little light and so draw more attention than matte ones do. They are great for people who have a natural sheen to their skin or hair (usually smooth hair has more sheen than textured or curly hair). Sheen can be used to highlight and draw attention to those parts of your body that you’re happiest with – and if that’s just your face, wear it around your neckline. It’s most flattering on people who have either smooth hair or smooth and wrinkle-free skin. Shine, is bright, it makes more muted colours look brighter and more obvious. Shine is best on people who have very straight and shiny hair (often darker too as it reflects more of the shine) and smooth freckle-free skin, and sparkly eyes. Those people who look shiny in their skin. Be careful with shine, it adds dimension and makes you appear visually larger, so don’t put it where you don’t want to add bulk or want people to focus. 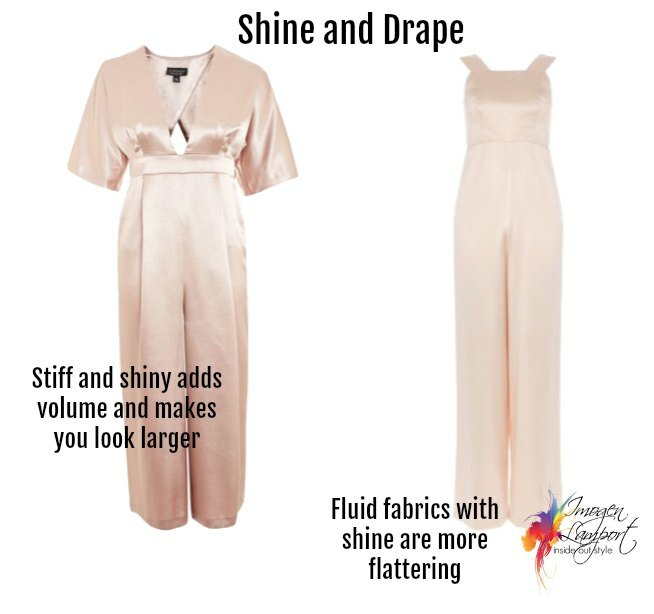 Be wary of shiny fabrics that are also stiff as they will make you look much larger than you are. 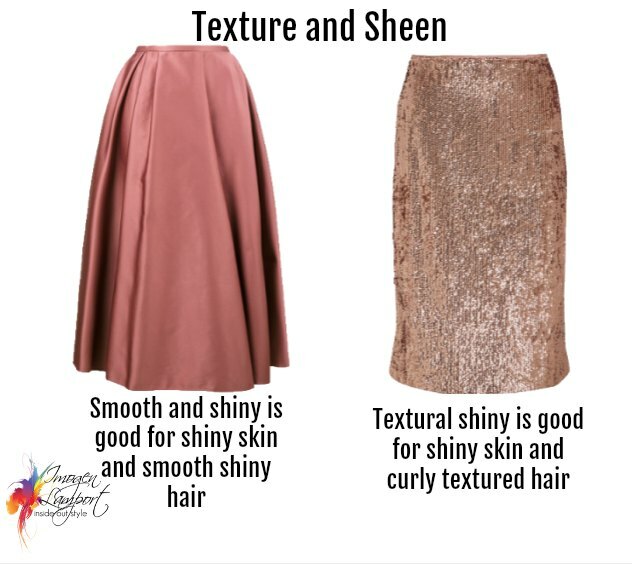 This sequin skirt is an example of both SHEEN and TEXTURE – which work on someone who has smooth skin with a natural sheen, plus textured, curly hair, or would work on someone who is freckled but has shiny hair and or skin. 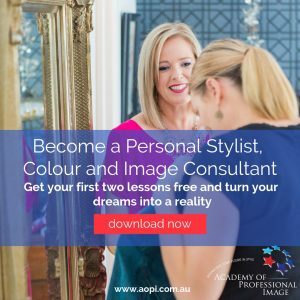 If you are unsure, ask someone to look at you, and if you could only wear one kind of fabric for the rest of the year, which would they choose based on what is more harmonious with you – Matte, Sheen or Shine – whatever comes to mind first is usually right. Which is the Best for You – Matte, Sheen or Shine? Sheen. Definitely sheen. Ah, but for how long? 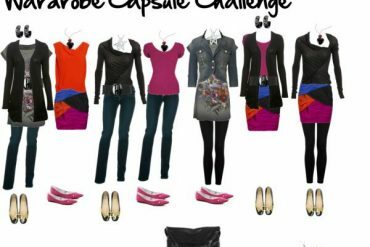 Wear it now whilst you still can, then as you age, think of it not in a negative way, but as an opportunity to discover a whole new textile direction.